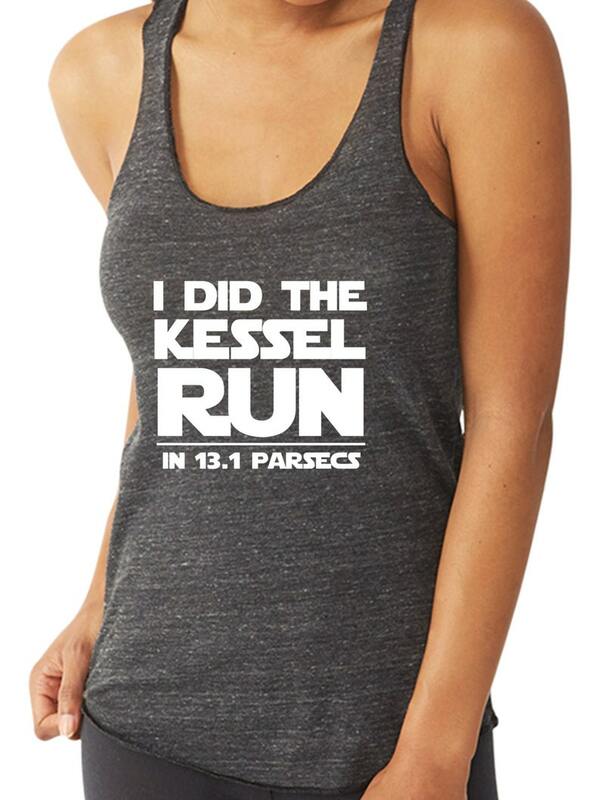 I Did the Kessel Run in 13.1 Parsecs.Star Wars 13.1 Half Marathon Running Tank. Whether you are running, working out or just out about town, this sleeveless tank is sure to become a staple in your wardrobe. Crafted from unbelievably soft eco jersey, with a rounded bottom and merrowed hem, this is sure to become one of your favorite tanks!